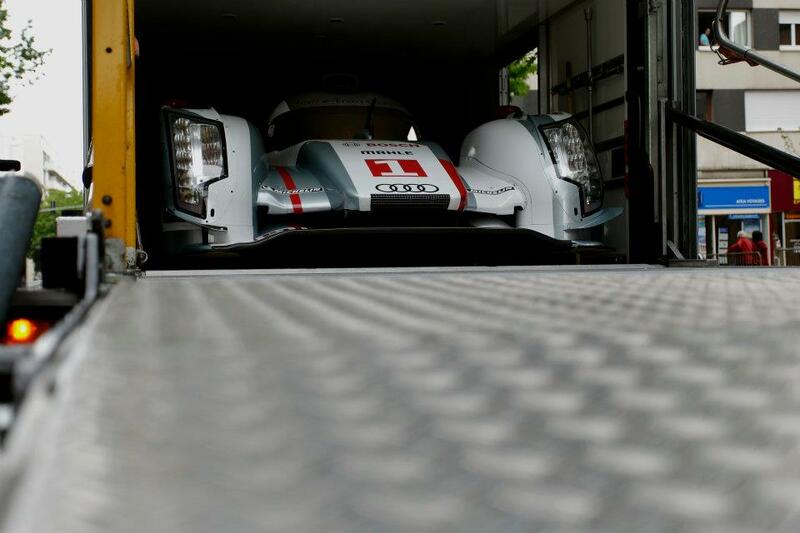 What a week it’s gonna be for the Audi Sport team at Le Mans! 4 R18s are ready to pounce next weekend. Here’s a photo of the sinister R18 e-Tron quattro lurking in the transporter. As an Audiphile, this week feels like a holiday! You’ll be seeing a lot of Le Mans coverage through next weekend on here…as Audi gets ready to surpass Ferrari on the Le Mans all-time win list this year.